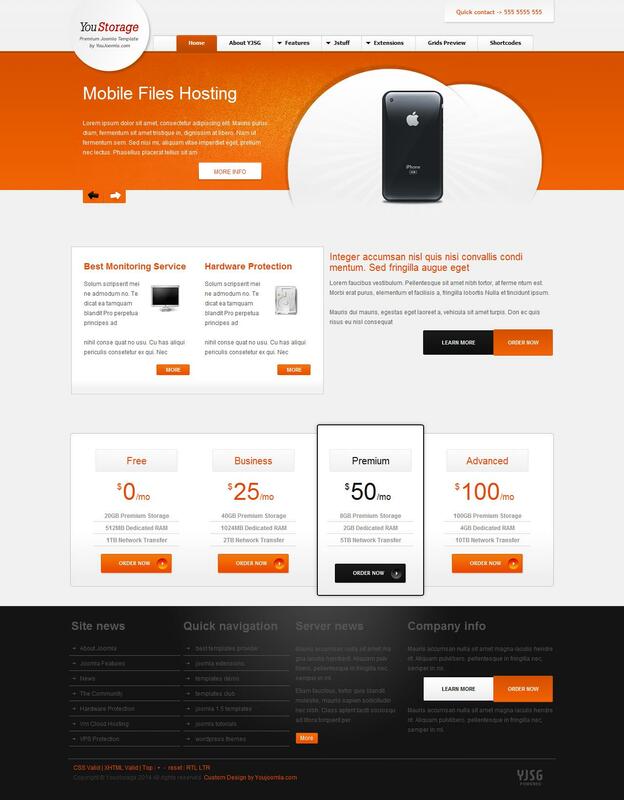 YJ YouStorage - stylish template to create sites that provide hosting services. In the template includes expansion club studio YouJoomla, which allow to display various items with beautiful effects. The template has 4 preset styles, support for CSS menu and 48 module positions. High performance pattern is achieved by using a corporate framework YjSimpleGrid Framework, providing fast download speeds, well-optimized code, support different fonts, layout with all settings and much more.